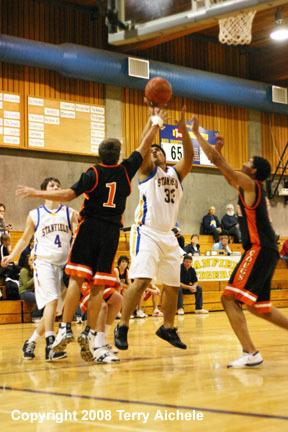 STANFIELD - The Stanfield Tigers hosted Wallowa County in an afternoon game on Saturday, December 6, 2008. The Tigers won 48-47 after giving up a 15 point lead at halftime. Stanfield started off the game well taking a 17-8 lead at the end of the first quarter. 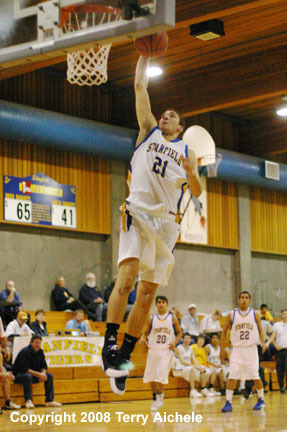 Stanfield held Wallowa to six points in the second quarter. The Tigers scored 12 points to take a 29-14 lead at halftime. 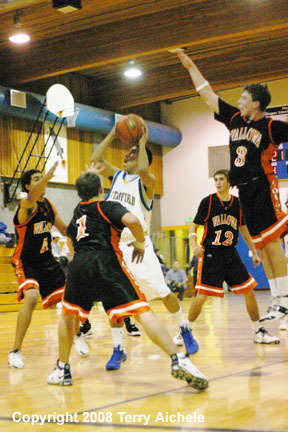 Wallowa's shooting started to come alive in the third quarter when they scored 15 points. Stanfield kept their scoring machine humming along with 14 points scored to give them a 43-29 lead at the end of the third quarter. 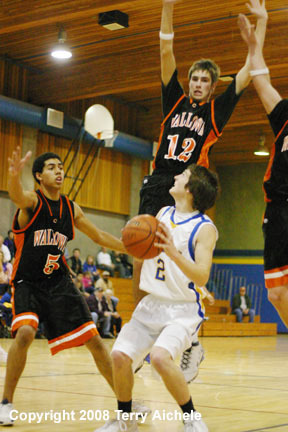 Wallowa's offense came alive in the fourth when they scored 18 points while holding Stanfield to only five. 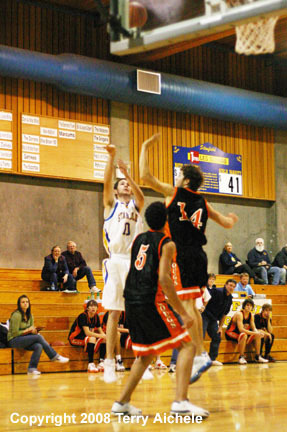 Stanfield only scored three points on a freethrow and shot in the final two minutes of the game. Stanfield held on for the 48-47 win. LEFT - Stanfield junior Robbie Shirley hits a layup during Saturday's game. RIGHT - Chase Erwert of Stanfield takes a jump shot while being guarded by two Wallowa defenders. 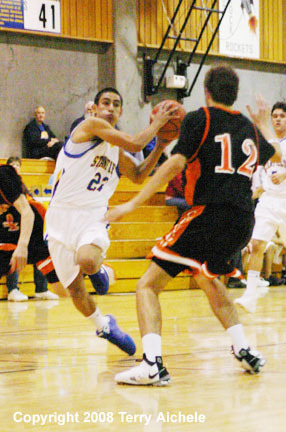 LEFT - Hector Esquivel of Stanfield drives to the basket during Saturday's game. 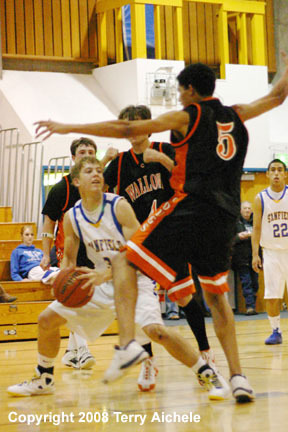 RIGHT - A Stanfield player is surrounded by Wallowa defenders. LEFT - Hector Esquivel of Stanfield takes a shot during the game on Saturday. 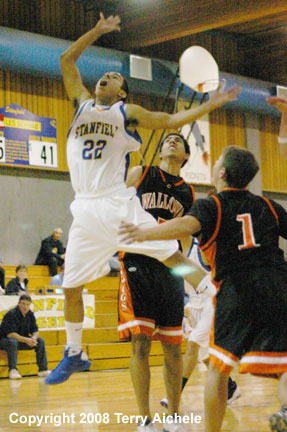 RIGHT - Kameron Watson of Stanfield drives to the basket for a shot during the game on Saturday. 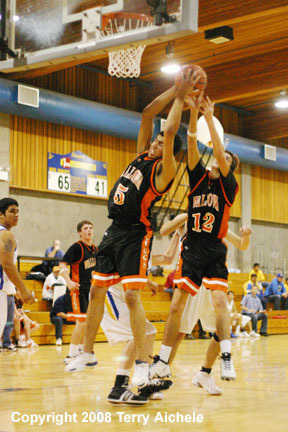 LEFT - Mark Jamerson of Wallowa grabs a rebound during the game on Saturday. 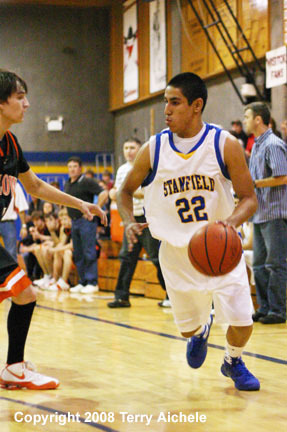 RIGHT - Omar Ibarra of Stanfield takes a shot during the game with Wallowa. LEFT - Stanfield's Ryan Griffin holds up while a Wallowa defender leaps. RIGHT - Ryan Griffin of Stanfield is surrounded by Wallowa defenders. 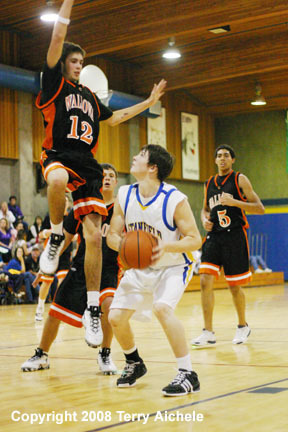 LEFT - Stanfield's Hector Esquivel cuts towards the basket while being guarded by a Wallowa defender. 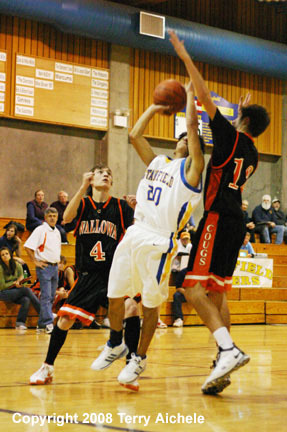 RIGHT - Tyler Hawkins of Stanfield is closely guarded by Mark Jamerson of Wallowa.